Today, Altia announces the release of Altia Design 12.1, which includes new features and powerful improvements for developing and deploying embedded displays for production automotive, medical, consumer and industrial devices. This past weekend, Colorado Springs — home of Altia’s headquarters — hosted the 96th running of the Pikes Peak International Hill Climb. This is an annual invitational automobile and motorcycle hill climb to the summit of Pikes Peak that is held on the last Sunday in June. The race course is a 12.42 mile (19.99 km) public toll-road with 156 total turns. The total course climb is 4,720 ft. (1,440 m.) — from the 9,390 ft. (2,862 m.) start line at the Mile 7 marker on the Pikes Peak Highway all the way to the 14,115 ft. (4,300 m) finish line at the mountain’s summit. Altia is proud to partner with Garz & Fricke by providing Professional Engineering Services for their customers to deliver the highest quality embedded GUIs to market. They will be showcasing Altia running on their hardware at ESC Boston in Booth #1177 from April 18-19 at the Boston Convention and Exhibition Center. Take a look at Altia demo running on Garz & Fricke hardware in this video — and be sure to stop by the booth to experience this demo live! Altia announces code generation support for the Renesas R-Car D3 using Altia HMI development software and safety certified Green Hills INTEGRITY real-time operating system (RTOS) with INTEGRITY Multivisor virtualization solution. This combination of technologies was featured at CES 2018 and will be on display at the upcoming Embedded World 2018 in Nuremberg, Germany. The Renesas R-Car D3 system-on-chip delivers high performance and graphics capabilities with its powerful ARM® Cortex®-A53 core and 3D GPU. The R-Car D3 also offers significantly reduced system development cost – and is priced to align with the BOM cost of a traditional 2D instrument cluster. As you make your way to the North Plaza of the Las Vegas Convention Center at CES, be sure to stop by to see Renesas Electronics America in Booth 18. Renesas will showcase their powerful semiconductor solutions at CES — including new R-Car platforms running Altia! As you plan your CES 2018 personal show plan, be sure to add the Cypress booth to your list! Altia has collaborated with Renesas Electronics Corporation, a premier supplier of advanced semiconductor solutions, to develop a consolidated cockpit module for the Renesas Connected Cockpit Vehicle, which Renesas will feature at CES 2018. This consolidated cockpit module includes a single Renesas R-Car H3 Salvator-X board running both an Altia-generated 3D instrument cluster and Android-based center stack with Altia graphics featured as the primary demo control interface. 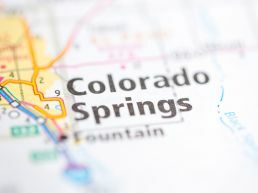 Colorado boasts several cities within its borders that are quickly becoming important technology centers — Denver, Boulder, Fort Collins and Altia’s hometown, Colorado Springs. From automotive software to cybersecurity, tech companies in Colorado Springs are delivering high impact innovations at high altitude! Will you be at embedded world 2018? From 27 February and 1 March 2018, you can find the Altia team in Nuremberg, Germany at embedded world 2018. We’ll be exhibiting alongside hundreds of companies from all over the world, discussing embedded technologies of today and planning the embedded innovations of the future. This year, you can find Altia in Hall 4, Booth 4-339. CES 2018 – We’ll be there! The Altia team is thrilled to bring our latest technologies to CES 2018 on January 9-12 in Las Vegas!